THIS YEAR’S flu season is officially reaching its peak, and this year’s strain of influenza virus is cause for considerable concern, striking with a vengeance not seen in decades. It’s causing more severe illness, more hospitalizations and even more children’s deaths, as parents do what they can to try to protect their kids. In reality, the strategies being recommended to combat this year’s flu are essentially the same as those employed in years past. While you’re likely to have heard about many of these strategies before, it’s nevertheless useful to remind ourselves of the importance of washing our hands and covering our coughs; getting everyone in the family who is 6 months or older vaccinated; and being on alert for and recognizing early the signs of the flu – such as fatigue, body aches, cough, sore throat and fever – and it’s potential complications, from sinus infections and pneumonia to heart problems, particularly in more vulnerable individuals, like the very young and very old or those with compromised immune systems. Now that’s easy to say, and it sounds like easy enough advice to follow. Yet each year I’m left wondering why it is that, as parents, we don’t always feel confident in our approach to fighting the flu. In large part, it’s the fault of the virus responsible for causing the flu. The influenza virus is cunning in its ability to change from year to year, which makes it all the more difficult to protect against. But I would also suggest that there are some parenting practices and commonly held parenting beliefs that, despite our best intentions, stand to get in the way when it comes to protecting our children, and ourselves, from flu’s wrath. 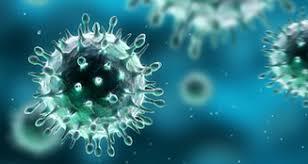 It’s useful to start with a clear understanding of what “the flu” actually is, and what it isn’t….